To make the whole taming process easier, here’s a macro you can use specifically for Ban’thalos. If you’re not sure how to create a macro, check out this macro how-to. This macro takes care of your dismount, casts Distracting Concussive Shot and prevents you from accidentally getting off any auto shots that would kill him. It works like a charm. The only other thing you need to watch out for is the ground (and other players, if you’re on a PvP server). Remember to Disengage before you hit the ground or you might be visiting the Spirit Healer. 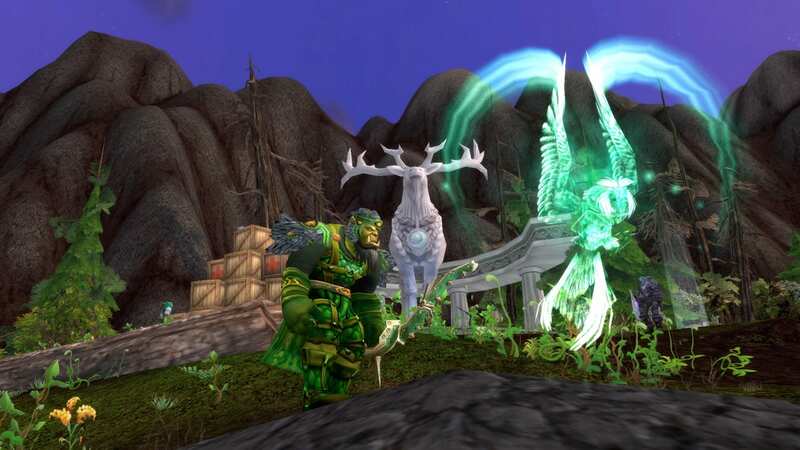 Taming rare pets can be a stressful experience due to the length of time you may have to wait in order to catch one, plus there’s usually the ever-present competition from other hunters, along with d-bag Ret Paladins and Death Knights lurking about – hoping to jack up your tame. 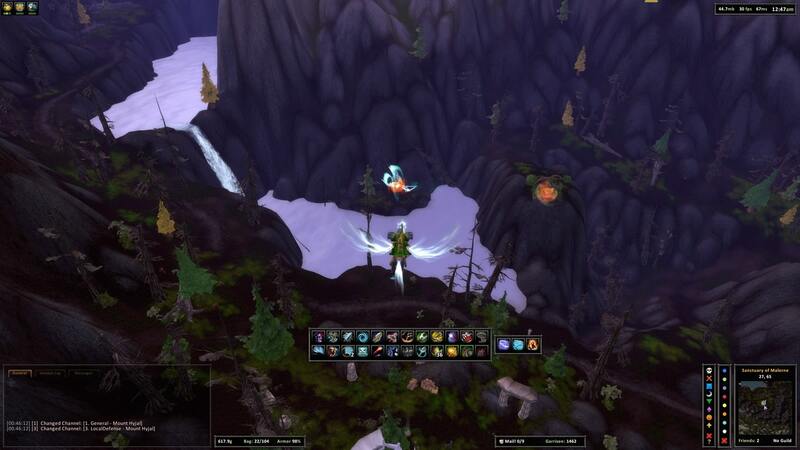 When the time comes, and you’re staring down at the rare spawn trophy pet you’ve been waiting patiently for, you may lose your wits.Being prepared with a macro and a strategy should help you find success. I happened to be in the Sanctuary of Malorne a few weeks ago when Ban’thalos spawned right in front of me. Being the overly-excited noob that I am, I went right up to him and tagged him with an auto-shot – only to watch his majestic feathery ghostliness land in a limp pile on the earth below. Major /facepalm moment. The last time I had tamed this pet was ages ago, and I wasn’t quite putting out the damage of a decently geared level 100. In my haste to tame Ban’thalos, I sorta forgot about that… This time around, Ban’thalos was not prepared and neither was I. Having a game plan that involves a macro and a strategy should help you find success. And again…don’t forget to dismiss your pet before you fly up to greet Ban’thalos. I’ve been camping the area for a couple days for cats and Ban’thalos. Just been sitting around naked waiting for them all. Logged in today, no cat but, WOOT! Ban is up. Got him today using fruit basket toy. I WAS on top of tree and planned to fly up and drop back down but someone appeared right next to me so I flew over to him and used slow fall potion. FYI he will follow you all the way down. Do you have to do any quests to make him appear? At lvl 105, I had to remove all my armor and get up onto something higher than the ground (used the deer temple) and fly straight up so that when I was dismounted I didn’t fall all the way to the ground and die. I used the macro listed in this article; however I used Concussive Shot as BM Hunters no longer have Distracting Shot with the release of the Legion Expansion. Took a few tries to get the logistics correct and was finally able to claim Ban’thalos! There was a trick to this. I’m quite surprised you don’t know about it. Basically there was this one tree that you could stand on, and tame him from there. You would auto shoot him to get him to come to you, then ice block him and tame. Never mind. I seen your old post, about taming him. Same trick.